We are very excited for this year we have a lot of different vegetables that we have selected for their nutritional value, flavour, antioxidants, and colours. See a full list below of what we have planned for 2018. 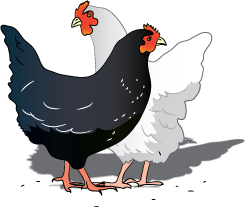 We now have an egg CSA $5.00 for a dozen eggs ($80 for 16 weeks), if you want a half dozen $2.50.00 ($40 for 16 weeks). 1/4 Share (1 person) ($320 for 16 weeks - value of $20/wk). Includes an average of 3-5 items. 1/2 Share (1-2 people) ($480 for 16 weeks - value of $30/wk). Includes an average of 5-8 items. 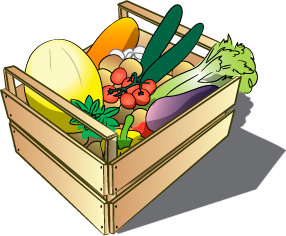 Don't forget you can order extra vegetables for canning, freezing or when the kids come home from school! We can deliver to your door or neighbourhood, if you get a group together we can do a drop off at an office, school, or other location. three varieties of potatoes: red skinned, yellow flesh and white flesh. It looks like an interesting and delectable year ahead! !